Located in Yolo County, California, Davis sits just 11 miles west of Sacramento and is home to the University of California, Davis. Davis offers its residents many entertainment options and plenty to do. Davis has become a mecca for bicycling enthusiasts and is now home to the United States Bicycling Hall of Fame. Hit one of the local movie theaters for $5 Tuesdays or the farmer's market to stock up on local foods. Because it is a university town, Davis offers a rich and diverse culture and is also home to many different festivals throughout the year including Celebrate Davis, the Whole Earth Festival, and Picnic Day. The city of Davis offers plenty of employment options. Downtown Davis is the economic center of the community with plenty of dining, shopping, arts and entertainment options, making it a place for businesses to thrive. The city of Davis offers a business-friendly structure, making it easy for new businesses to open. Some of the top employers include the University of California Davis, Davis Joint Unified School District, and the City of Davis just to name a few. If getting a great education is what’s important to you, then you came to the right place! Davis’ public schools are part of the Davis Joint Unified School District and have plenty of great public schools for your children. Davis is also home to world-renowned University of California Davis so if you are looking to earn your undergraduate or graduate degree, you have come to the right place. Looking to make the move to Davis? Cambridge House Apartments offers beautiful and spacious one bedroom, two bedroom and three bedroom Davis apartment rentals. Just a bicycle ride away from downtown Davis and the University of California, our community offers all of the amenities one could imagine to enjoy a comfortable, resort-style community that you get to call home. All apartments have gorgeous kitchens with white cabinetry and granite-style countertops. Never have to share a washer again with your own set of full-size washers and dryers. Enjoy a private entry to your apartment with optional wood-style flooring and walk-in closets with built-in shelving. Don’t have anything to make your apartment feel like home? Furnished apartments are also available. Cambridge House Apartments are pet-friendly, so your furry friend is more than welcome and will love the on-site, off-leash dog park with agility obstacles. Our apartments in Davis, CA are also located just 5 minutes away from Davis' own dog park, Toad Hollow. Apartment residents have unlimited access to a 24-hour fitness center and a study lounge equipped with free printing, Wi-Fi and computers making it the perfect choice for UC Davis off campus housing. Ready to relax after a long day of classes? Go for a swim or relax by the resort-style pool. Get together with friends in the game room or grill out at one of the BBQ grilling areas. Enjoy all of the fun of college life with the freedom of off-campus living. The Davis apartment community is managed by Aspen Square Management, an industry leader in property management with over 50 years of experience. 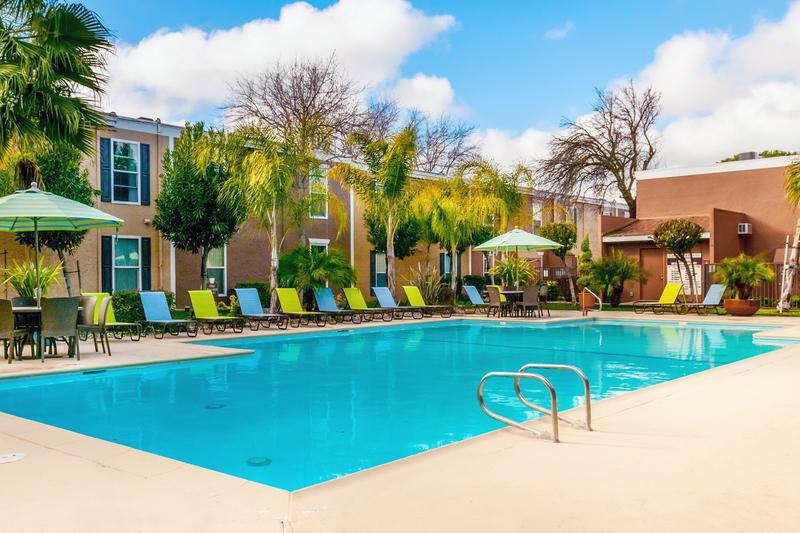 Our UC Davis Off Campus apartments, Cambridge House, and the city of Davis are easily accessible by two freeways, Interstate 80 and State Route 113. Whether you are looking for UC Davis student housing or just a fabulous new place to call home, Aspen Square’s Cambridge House provides great amenities and carefree living with 24-hour maintenance staff. We are committed to exceptional quality and service at our Davis apartment rentals. Come find out how Davis living can be easy when you choose to make Cambridge House Apartments your home.